Still unsure what to buy for that independent music fan on your shopping list this holiday? Hey, time is running out – but thankfully the dudes in Tearjerker have you covered. You might remember that they released one of the best albums of 2012 with their EP Hiding. Well, they just released an EP of remixes and re-imaginings of the songs from Hiding, called Hiding With Friends. The album features contributions from such stellar acts as Indoor Voices, Heartbeat Hotel, Snow What, and Little Kid. Not only that, on the other side of the tape you’ll get the original EP – that’s like two for the price of one! 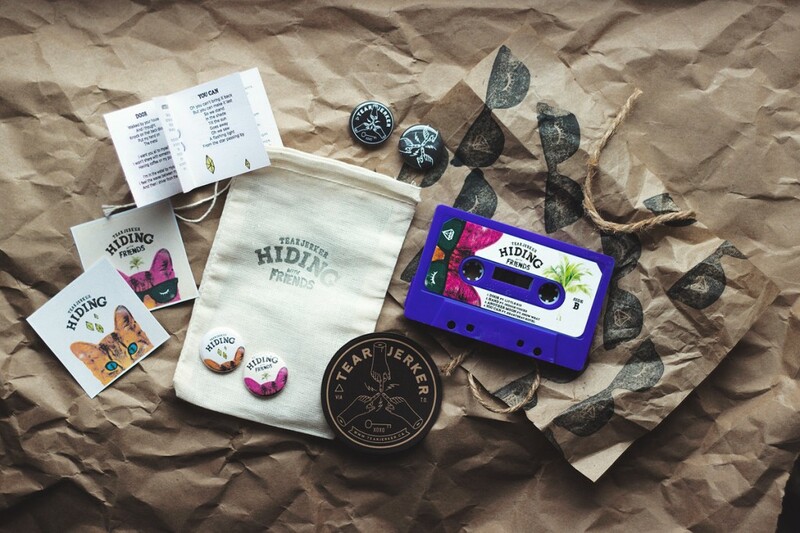 The special edition cassette comes with hand-made booklets, pins, and more goodies. It’s basically the perfect stocking-stuffer, you guys. If you’ve made your mind up, head over to their Bandcamp, and place your order today! The whole package is only $7 – or more, if you’re feeling particularly generous; it is the reason for the season, you know. Follow Tearjerker on: Facebook, Twitter and Tumblr.